Harlequin® American Romance brings you four new all-American romances for one great price, available now! 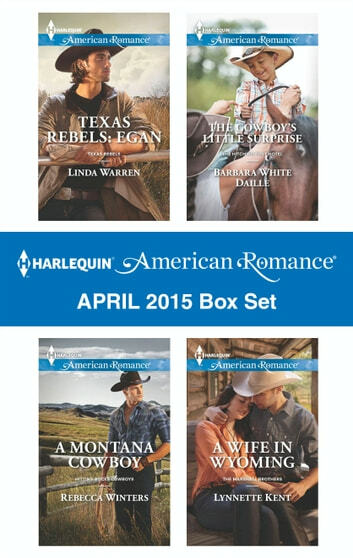 This American Romance box set includes Her Rodeo Man by NEW YORK TIMES bestselling author Linda Warren, Texas Rebels: Egan by Rebecca Winters, A Montana Cowboy by USA TODAY bestselling author Barbara White Daille and The Cowboy's Little Surprise by Lynnette Kent. If you love small towns and cowboys, watch out for 4 new Harlequin® American Romance titles every month! Romance the all-American way!